Interlaken, the village between two lakes, a gem nestled between the blue waters of Brienz and Thun, is the oldest tourist resort in Switzerland. 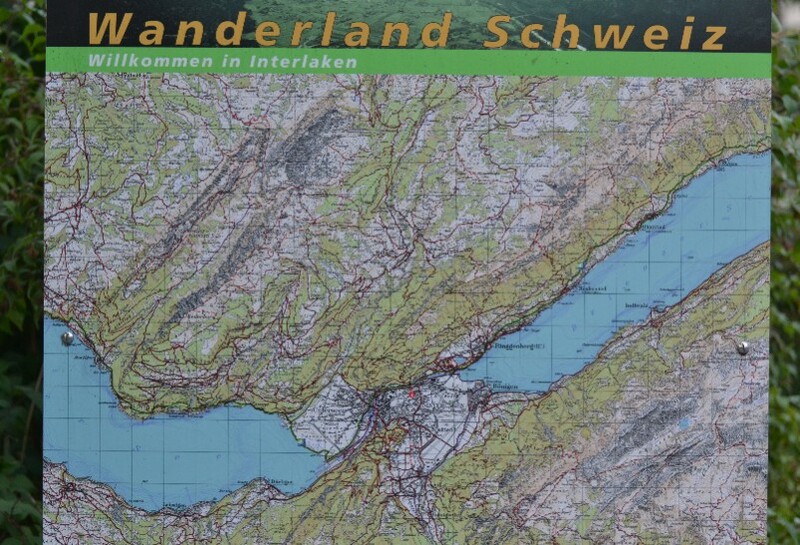 Settled in the greener heart of the Confederation, Interlaken counts just 5,000 inhabitants, but his fame starts from Bern Oberland and arrives up to the Farer East: it is precisely here that we find the highest concentration of Japanese tourists all over Switzerland. Why this mountain village attracts many tourists even from so far away? 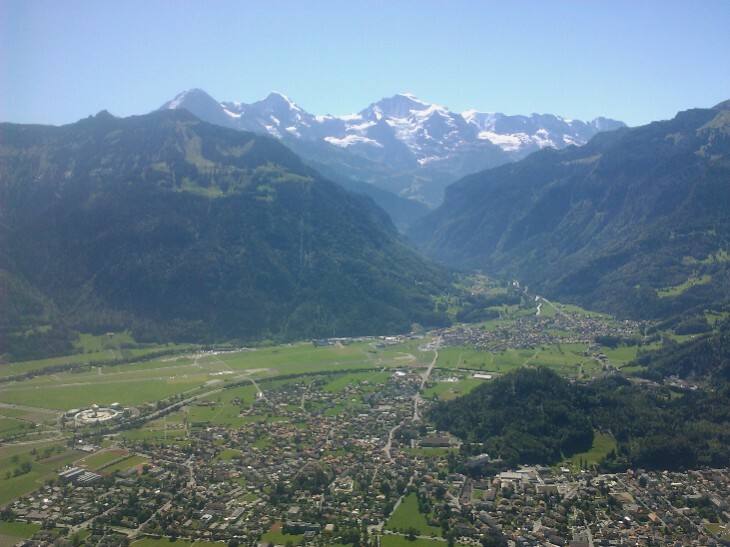 Interlaken attractions are countless and are all linked to its natural beauties: offering snowed mountains, lakes, rivers and green meadows, it pleases lovers of skiing and hiking, but even the bravest ones with skydiving, canyoning and paragliding. And it was actually the chance to do these sports – extremely – extreme that drove Mister to take me to Interlaken the first time, but – unluckily – cause of our difficulty to get used to wake up quite early in the morning as the rest of people living here do, and 200 km distance from Geneva, we arrive too late to throw down a mountain attached to a balloon. 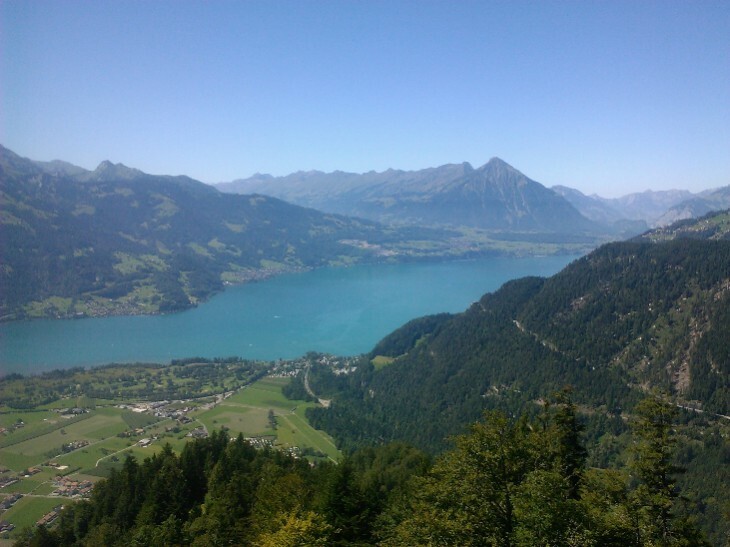 What we can do to fill our desire to do some exercise and spending time outdoor is hiring two electric bikes and follow a route of 30 km, leaded by a proud girl from Bern, who works as guide during the summer here in Interlaken. Since it is already late, we have to choose the shortest route, which has given us both the chances to ride effortlessly along flat roads and then push our bike on dirt trails and narrow wood bridges, reaching corners where the view over the snowed peaks is amazing and ending up to the embankment of a turbulent and strangely gray-concrete colored Aare. And we keep riding up and down the hills, among the more rustic farms ever seen – where you can stop, open the fridge in the boxroom near the barn, take milk and eggs and leave the money in the plastic box on the table, in short words a 24-h selfservice.. you never know someone would need two scrambled eggs at midnight! – up to the shores of both lakes Brienz and Thun, passing by the Unspunnen Castle – where every 12 years, since 1805, the stone shooting festival is held (a small stone 83.5 kilos), a historic competition that remind of the ancient disputes between the inhabitants of the countryside and the city. You can also encounter groups of young daredevils that challenge the icy waters of the river by jumping from the bridge located under the Harder Kulm .. my feet resistance soaking in that water? About three and a half seconds before risking hypothermia. 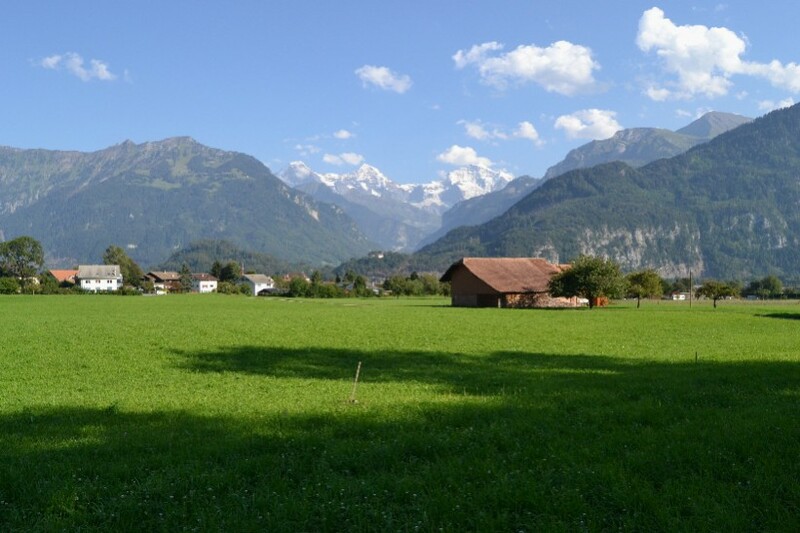 Tip # 1: You can rent a bike and ride independently, but being guided by a local gave us the chance to reach less accessible trails and learn details and stories about living in Interlaken. 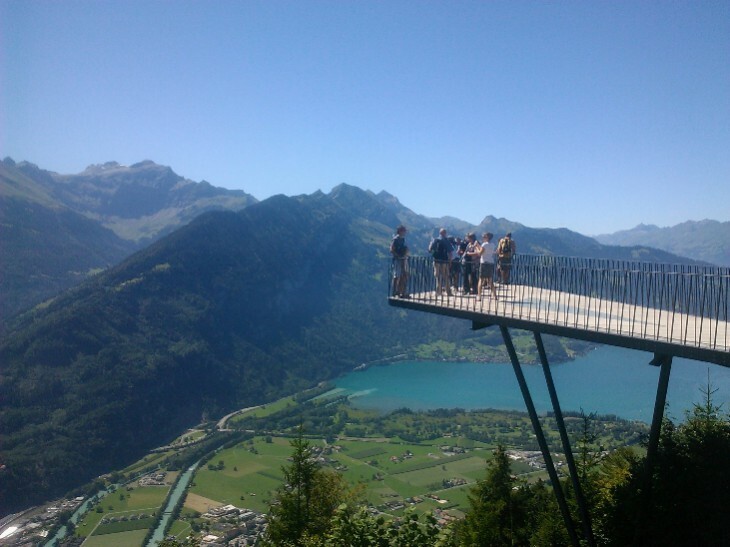 Tip # 2: you can not miss the view from the platform on top of Harder Kulm, climbing by the cable car which goes up slowly through the forest, showing from the first moment a wonderful scenery. And you can not enjoy fully the view from the platform if you are not grabbing a beer in one hand and sandwich with sausage in the other one. Uno dei miei posti preferiti qui in Svizzera: è incantevole in tutte le stagioni.. e di sicuro non ci si annoia! complimenti per le foto…dove vivo io abbiamo un paesaggio simile…. Grazie Elisa. Sei fortunata allora! Che bella la montagna, specialmente d’estate..